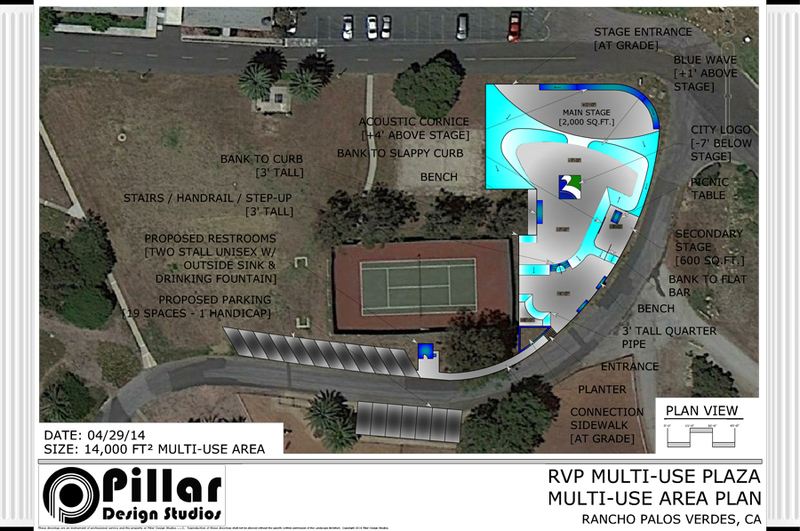 RPV — Skatepark PV’s proposal to build a privately funded and maintained multiuse skate-able plaza on Rancho Palos Verdes City Hall property was met with concerns from the public as well as members of the City Council during an April 15 meeting. One of the issues brought up was making sure that the overlay of the skate-able plaza did not conflict with the City Hall/Civic Center master plan. He was also vocal about the skate-able plaza’s long-term planning with respect to its longevity and property hindrance. “I want to make sure that there is no conflict with any other restrictions that may encumber the property that this [skate-able plaza] is being proposed for,” Duhovic said. Despite the questions that constructing a skate-able plaza presented, the idea of having a local and accessible skate plaza in the area was met with excitement for community parents whose children have no nearby place to skate. “People have been waiting a long time for this; many parents have,” said Jim Parker, who has been driving his 16-year-old son for a number of years to Hermosa Beach. “My son loves skateboarding, so I want him and the other kids in the neighborhood to have a fun, accessible place to congregate and practice,” he said. The site will be visible, alleviating fears of potential illegal activity. It will also be close to Golden Cove Center and the dog park. In addition, 19 parking stalls, a permanent restroom and a drinking fountain will be built on the site. Councilwoman Susan Brooks expressed concern about who would maintain the skate plaza if built. “The [problem] I have is that a handshake agreement in this city has historically not worked, so that will have to be looked into,” she said. Brooks also brought up that another skate park was being constructed at Peck Park in San Pedro, close to RPV. The San Pedro skate park is slated to open this fall. Parker said that even though Peck Park might be in the area, it’s still a distance that requires driving. Having a local place to skate will make it more accessible and available to the children who don’t drive. While there are matters still to discuss, there is an openness to the idea of having a skate plaza in RPV. Robert Doss is a freelance writer and a regular contributor to the News. Editor’s Note: The print version of this story, published in the PV News on May 8, included a comment made by Councilwoman Susan Brooks about the community of Monaco’s beautification grant and ongoing maintenance. That comment had some misinformation. That quote has been removed from the online version. Also, the print version included an editing mistake that has been corrected in the online version.